It's getting lighter (a lot), getting warmer (a bit), and getting dryer, so it's a good time to the Rooftop Film Club to start their spring season of Drive In film screenings. Taking place at three venues, Sandown Park, Alexandra Palace and Brent Cross, the screenings start on 20th March and run into April. As with traditional drive-ins, you pay for the car (£22), irrespective of how many people there are in it. Plus there will be Delicious street food by Munch. See below for full details of films, dates and times. "The creators of the UK's No1 outdoor cinema, Rooftop Film Club, are proud to announce the return of their unmissable Drive In cinema experience. 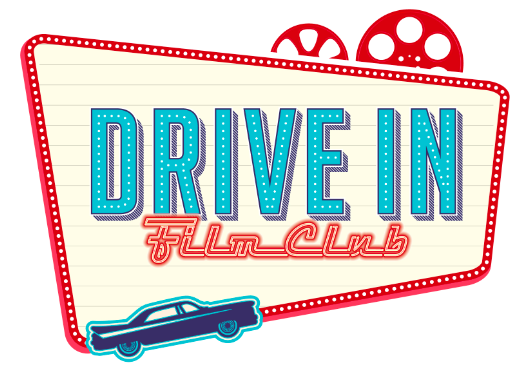 The Drive In Film Club will transport you and your friends to a classic American style Drive In cinema as you enjoy the very best of film on a giant screen and all from the comfort of your own car. From the 20th March the the Drive In Film Club will play host to the world famous Sandown Racecourse and legendary concert venue Alexandra Palace. There really is something for everyone at London's only Drive In Cinema from the latest blockbuster releases 'Gravity', 'Anchorman 2: The Legend continues', 'About Time', 'Rush', and 'We're the Millers' to Drive In favourites including 'Back to the Future', 'Top Gun', 'Cars' and 'Grease'. And best of all at only £22 per car regardless of occupancy it's an unmatchable way for the whole family to see their favourite films under the stars. If you're feeling peckish you can order yummy street food from Munch and classic cinema snacks which are then delivered direct to your car by the Drive In Film Club waiters and waitresses before you settle down to enjoy all the romance, comedy, action and glamour that the big screen has to offer.